I love making homemade beauty products, but it can be hard to find ones you love and will stick with. While most have come easy to me, finding a homemade herbal shampoo that I loved took some time. I have very long and very curly hair so I needed a DIY shampoo that wasn’t going to leave me a greasy, frizz filled mess. I’m going to be honest and tell you when I first heard the idea to wash hair with coconut milk, I was pretty skeptical. In the end, I loved it though. 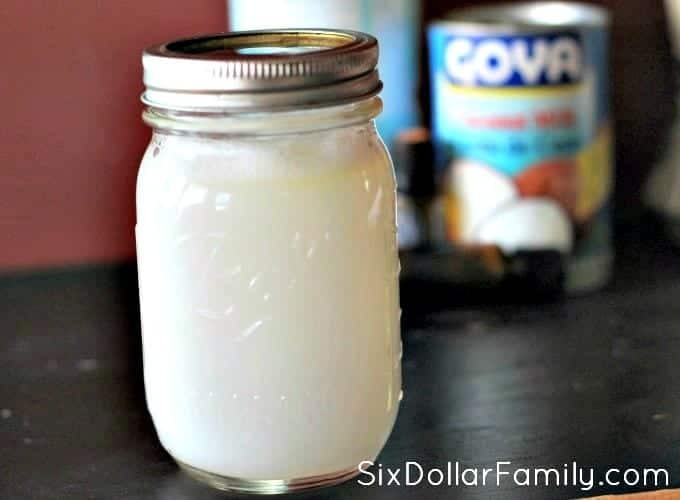 What followed was taking the time to learn how to make shampoo from scratch and eventually, this homemade coconut milk shampoo. Using a homemade herbal shampoo is a bit different than using the shampoo you pick up at the store. For one, even though this is a homemade shampoo with castile soap, it won’t create a suds when you use it. Conventional shampoos have SLS in them and this coconut milk shampoo does not. SLS is what creates those suds you’re so used to, but they do not help clean your hair and are really unnecessary in DIY shampoo. When you make this homemade shampoo with castile soap and coconut milk, you’ll also be using essential oils to help customize it to your hair type. It doesn’t matter which brand of essential oils you use as long as they are pure essential oils. Despite common beliefs, there is no such thing as a therapeutic grade oil and there is no federal grading system to back that – very common – claim. This means you can buy a more affordable brand and get the same thing as long as it is pure oil and not cut with anything. I personally prefer to buy Plant Therapy essential oils. They are incredibly affordable and are just as good as the more expensive brands. Why Wash Hair with Coconut Milk? If you are looking for healthy hair, getting into the habit of washing it with coconut milk is a great idea. Coconut milk is full of the nutrients your hair needs to be healthy. This can promote growth, fewer split ends, shine and more. 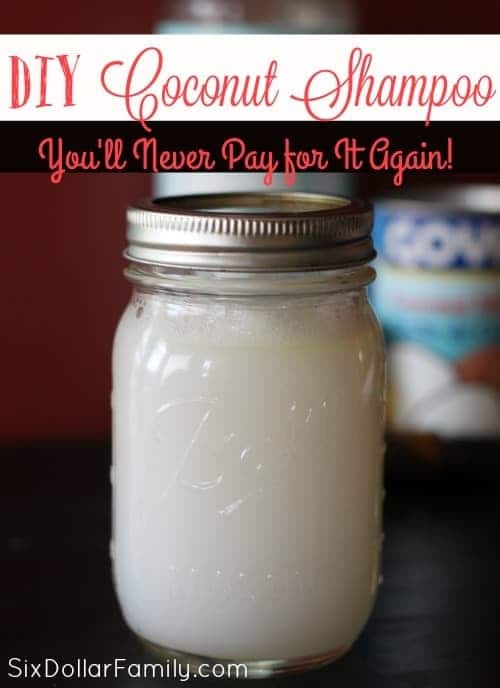 When you make a DIY shampoo with coconut milk, you make it easy to wash hair with coconut milk and to “feed” your hair without making a huge mess. Castile soap is one of the purest soaps on the planet so by making a homemade herbal shampoo with castile soap, you’re giving yourself a way to get your hair clean while nourishing it without chemicals. I personally buy my castile soap at Grove Collaborative. I love their prices on things like castile! If you’re new to Grove, they will also give you a free 5-piece Mrs. Meyers cleaning set with your first $20 order when you click THIS link. As long as you’re using pure castile soap in your homemade coconut shampoo, it doesn’t matter where you purchase it from though. 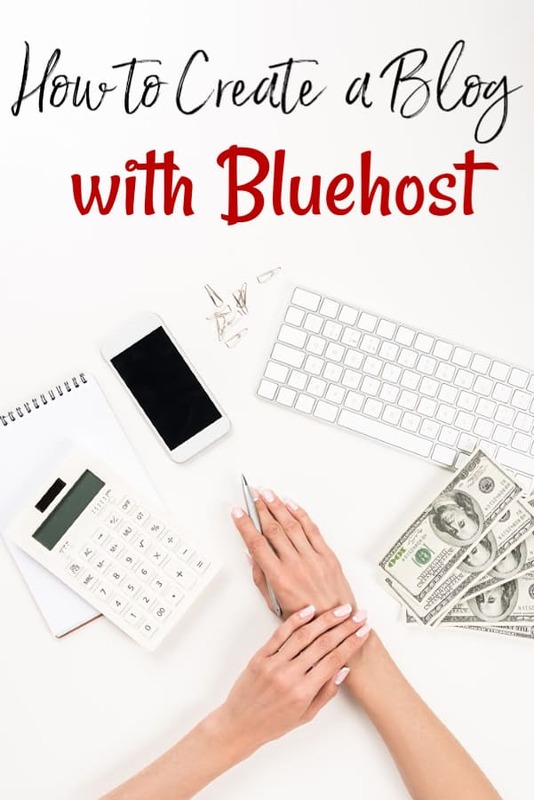 It is an incredibly versatile soap and I use it in almost all of my homemade beauty recipes and homemade cleaning products including my homemade shave cream recipe and my homemade dishwasher detergent. If you’re looking to save money on castile soap, you can also make homemade liquid castile soap very easily. My liquid version is made from bars of castile. Bars of castile soap are far cheaper than the pre-made liquid soaps. 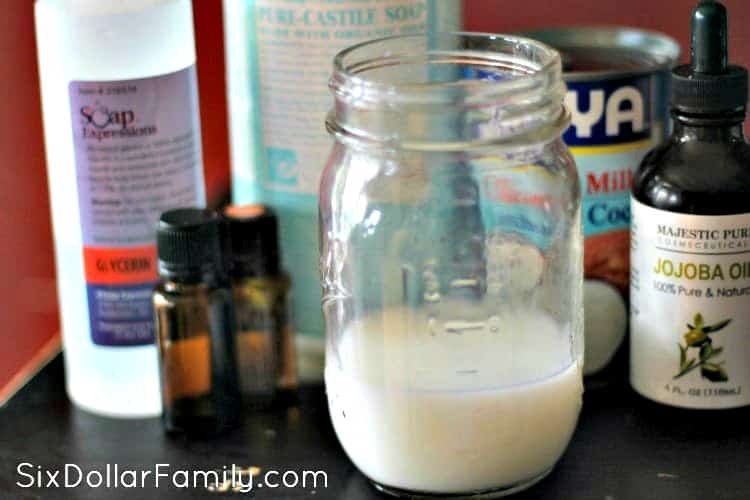 For those that are learning how to make shampoo from scratch to address a specific hair issue, this homemade shampoo with castile soap and coconut milk can address those issues. At the end of the post I will give you the essential oil combinations to use when you make your homemade coconut milk shampoo to help you treat those specific problems. I often change the essential oil combinations I am using based on what my hair currently is doing. As you’ll see at the end of this post, each EO combo helps to address a specific issue. If I am having a dull hair kind of month, I make a batch of homemade shine boosting shampoo. If I am dealing with oily hair, I make up an oil reducing batch. That is the main reason I adore my coconut milk shampoo recipe so much; it’s so easy to customize! I have had people ask whether there is an adjustment period for your hair when you start to use a homemade herbal shampoo over a commercial shampoo. The best answer I can give to that question is this; I did not personally have any issues switching, however everyone has different hair. I have naturally curly and very dry and frizzy hair normally. What I would suggest is if you’re concerned about an adjustment period to use it the first time over the weekend. That will give your hair a bit of time to calm down if needed. 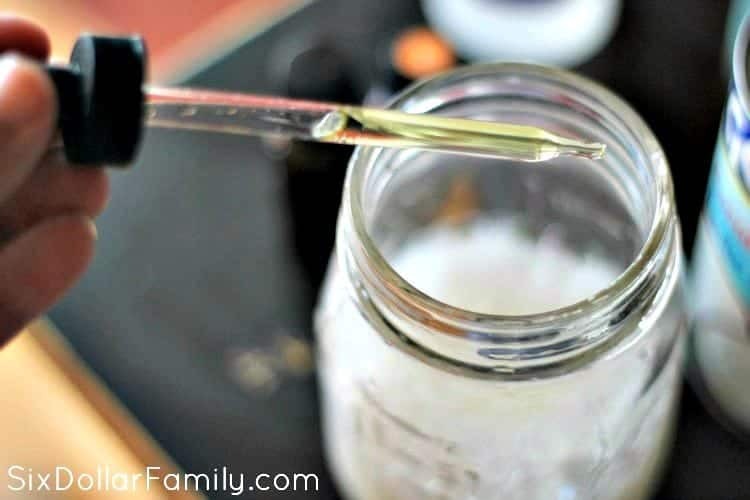 To begin making your homemade coconut milk shampoo, grab a quart sized mason jar, combine all of the ingredients except your essential oils and stir gently to combine. If you have an empty shampoo bottle or two, you can mix it up in them instead. Doing it that way can make it easier to use in the shower. I often use empty shampoo bottles that I’ve saved since they are one of my favorite things to reuse to save money. Next, add 15-20 drops of your favorite essential oil – or use one of the combinations below – and stir gently again to mix the oils well into the DIY shampoo mixture. Seal with a lid and ring and shake the jar well to combine. The next time you wash your hair, wash it with your homemade coconut milk shampoo! Just remember to give it a good shake before each use. If after making this homemade coconut milk shampoo, you find that it is too thin, you can thicken it by making a salt water solution. Add .5 oz regular table salt to 1.5 oz warm distilled water and stir until it is dissolved. Then, in very small amounts (1 ml or less), add to your soap and stir. Continue adding the salt water solution to your soap until you’ve got the consistency that you want. It’s easiest to control the amount of salt water solution you are adding if you use a plastic pipette. To use, apply a generous amount to your hair beginning at the ends and work your way up to the roots. Let it sit for 1-2 minutes then rinse away completely. For an added shine and extra conditioning boost, rinse with apple cider vinegar after shampooing. There are quite a few different ways to use apple cider vinegar and conditioning and adding shine to hair is one of them. Have a specific hair issue you need to solve? Use these essential oil combos in your DIY shampoo when you make it. As always, be careful with essential oils if you’re pregnant. Some are not safe for use by pregnant women. To mix these into your homemade shampoo from scratch, you’ll take the 15-20 drops mentioned above and split them between each oil. I’ve listed the counts below but you can always mix it up if you would like. Originally published in 2015/Updated June 2018. So I am super interested in this recipe, primarily for the frugality. The current natural shampoo I use is $12 for maybe 16oz. I can get Castile soap and coconut milk in my area for a good price, but not oils or vegetable glycerin. I currently have avocado and sweet almond oils at home. Do you think those could be used in place for jojoba oil? Do you know of any substitution for vegetable glycerin? Thank you for this awesome post! Etta, the oil can be left out if you need, but Jojoba oil helps to soften your hair and feed it the nutrients it needs. I don’t know of any substitute for vegetable glycerin, but if you check out the one that I linked to in the post it shouldn’t be too expensive. Pretty sure I paid less than $10.00 for my bottle and it lasts through quite a few batches. I’m very interested in trying this. Can I just leave this in the shower, or does it need to be stored in the refrigerator? I have seen other DIY shampoo and body wash posts that advise you to keep these products in the fridge because of the coconut milk. Elise, fridge is best for this particular diy. Thanks so much for this advice! I live in a tropical climate and was going to ask you about this. ? Do you know what the shelf life is for this shampoo? Amanda, usually just a couple of weeks or so since the coconut milk is perishable. Have you ever tried using the regular castle soap? I like the smell and dont want to buy more of what i already have. Sounds good, can you use goat milk instead of coconut milk? How about coconut oil? Kathy, I’ve never tried but I can’t see how it would hurt! Let me know if you try it please. 🙂 I’m curious now! I like your recipe, however I discovered (unfortunately) that castille soap will strip your color so if you have color treated hair you will want to formulate the recipe differently – less lather but safer for colored hair. I confirmed with Dr. Bronner’s website that they suggest not using on color treated hair. I didn’t know that Cindi! Thanks for letting us know! I’m so glad I read this! I was going to make some to use for myself, but I have high maintenance red hair…so, I will be trying on my kids and hubby. Thank you! How long will a jar of this stuff be good for? With fresh ingredients, most recipes I find say to keep only for 1 week. thank you! Shayna, I’ve used mine as far out as 10 days by keeping it in the fridge. Hi!! I really want to try this one for a Valentin’s day… How many drops should I use from each essential oil of the oily hair combo?! Hi Rebecca, as stated in the ingredients, you would use 15-20 drops total for all of the oils you’re using. If you’re making the oily combo, you could do 5 of each drop from Rosemary, Peppermint, Cypress and Basil oils. Hi, I was wondering if there was a transition period for this type of shampoo. I’ve heard that switching to a a more natural shampoo will have a transition period. Did you have this? Just wondering what kind of coconut milk this needs? Out of a can? Full fat? Soooo excited to try this! I just made this and used it! My hair feels soft, but it also feels like there’s still product in it… Is this normal or did I not rinse it long enough? Allie, I’ve never felt like that but for those that do, rinsing your hair with apple cider vinegar should help. LOL! Thanks for clarifying that you’re from Canada 😉 It’s good to see that others beside the US can enjoy my posts. As far as thinning hair, my hubby uses it just fine and his is thinning on top (shhhh! LOL). If you’re looking for something to help with regrowth, you could try adding some evening primrose oil to it (replace one of the EO’s that you use) since that is reported to help with hair regrowth. I should probably do a batch of that for him but keep forgetting. I really like this and want to try it, but wonder if I’m the only one who doesn’t relish the idea of putting refrigerator cold shampoo on my head, especially in the winter. Lila, I let it sit out for a few minutes to come to room temperature before I put it on my head. Just shake it up before you use in case it settles as it gets warmer. Hi! Thanks for the recipe. I tried once to change to a homemade shampoo made out of baking soda and essential oil (rose oil). It didn’t work for me. I had to rinse the hair with vinegar to get it conditioned… My husband said I smelt like salad. But I will try this recipe, maybe the oils will help to condition the hair without using the vinegar. Now I am using Argan oil because my hair is dry and I think is helping. Have you tried? What kind of vinegar rinse did you do? I do a tablespoon of apple cider vinegar per cup of water, and add 10 drops of rosemary and tea tree essential oils. My hair never smells like vinegar afterwards. It doesn’t smell like rosemary or tea tree oil, either, haha! Could you have been using too much? I tried using an all-natural shampoo and my hair felt great. But then I went to get a (needed) body perm…and it did not take – at all. And my hair wouldn’t hold curl when I used my curling iron. The hairdresser said it was probably because of the glycerin product in the shampoo, which coats your hair. I stopped using it and let it grow out before I attempted another perm, which thankfully took this time. Might be okay for some hairstyles but sure didn’t work with my fine, limp hair! Since then, I’ve read things about over-use of glycerin on hair causing other problems… Too bad, because I’m all for using less chemicals. I use Henna to color my hair and EO’s strip the Henna out immediately. Any suggestions? Kelly, I’m not really familiar with henna as a hair coloring so I’m afraid I’m not much help. I suppose you could make the shampoo w/out the EO’s. They wouldn’t have the benefits but the shampoo would still clean your hair. Jojoba oil and the other ingredients all do have their separate benefits for hair so it wouldn’t be a complete loss of nutrients. Worth a shot? This shampoo sounds great!! I have gotten rid of many of my chemicals too and switched to natural options. Stephanie, it was both joint and muscle as well as chronic migraines. I used the scented Dr. Bronner’s and save $$$ from not having to purchase essential oil. This seems like a great recipe, but I don’t want to use milk in shampoo. Do you need the milk, or can you leave it out? Or use water instead? Rachel, I’ve never tried it with water but it might work! It’s worth a shot! I am excited to make this and try. My question is I have long hair so I always use conditioner after I shampoo. Do I still need to use conditioner or will this be enough? If I do need conditioner, do you have a recipe for that as I would like both to be natural!! We are still working on a conditioner recipe Amanda, but yes, I would recommend one after. Do I have to add the jojoba oil and the essential oil? You could leave out the EO if you wanted, but the jojoba oil is part of what gives your hair the nutrients that it needs to be healthy. Hi. I am eager to try this out. Can I leave out the vegetable glycerin ? Does it need to be in the shampoo ? I have everything else so looking to avoid buying anything additional. Johanna, the glycerin helps to thicken the shampoo up. Thank u for sharing this recipe, I’m definitely going to make some. I would also like to know what do you think of replacing the vegetables glycerin with coconut glycerin? Hessah, I’ve never tried coconut glycerin, but I’m curious if it would turn out well or not. The shampoo itself yes, however, be very careful using essential oils on dogs. Some can be fatal. Honestly, you could use pure Castile soap and it would likely work just fine and be safer. I just found your blog and love it , thank you for posting this shampoo recipe I’ve been looking for a easy good recipe , I’ve recently started using all natural products in my home due to being diagnosed with COPD, I’ve had to throw all my cleaning products away as I can’t handle the smell of them anymore, so I started making everything from my cleaning products to my beauty products and I feel so much better now, I wished I would have done all this year’s ago. Lol many Blessings to you ! If the Castile soap isn’t good for colored hair, are there any good substitutes? Aimee, you could try using just baking soda and vinegar (white) to wash your hair with. There will be a short adjustment period as your hair gets used to no chemicals, but once your hair adjusts, it will look even better than with an expensive shampoo. If you’re using pure Castile, there’s no reason to dilute it. It is pure soap and gentle enough to use on an infant. I used 4 cups water per bar of Castile soap. Should I have thickened that first, before attempting the shampoo? I didn’t have distilled water for the saltwater solution but I did it anyways. What is the reason for it needing to be distilled water? I also didn’t catch the part about keeping it in the fridge. It’s been in my shower for 24 hours. How fast will it go bad? I suppose it would smell bad? Any other tips for thickening it? Or did I do something wrong in the recipe? Candice, I would suggest thickening homemade Castile first if you’re going to use it. Also, you may need to cut back on the water. It depends on how long you melt it, etc. Start with 3 1/2 cups next time and see how that does for you. You could also try increasing the amount of shaved soap you’re using if you wanted to. I’ve never had much of an issue, but I’ve been making it long enough to just eyeball it at this point. Distilled water is recommended for purity. There’s not really any other reason than that. Your shampoo should be fine at 24 hours, but I would get it in the fridge asap if you haven’t already. Why the vinegar rinse afterwards? Is that the conditioner? Is the vinegar diluted and does that return scalp to proper ph level?